An article by Glen Aaron, Attorney, Author, Blogger .... I am so excited to be a part of ArtiZen Outlet!!! What a wonderful opportunity for our local artists. Thank you Nina and Charles. Excited!! That’s the word that immediately came to mind when I met Nina Noel. And it’s no wonder why she is so excited about her new venture. She and her husband, Charles Noel, have opened the ArtiZen Outlet across Loop 250 from the mall at 3404 W. Loop 250 North. Nina’s excitement is contagious as you wander around the two-story facility filled with wide-ranging quality art from oil, pastel and water color of many different genre to eclectic jewelry, photography and pottery. There is also quality crafted furniture. In short, there is just no other place like it in Midland. With a BA from Brooks Institute in photography, Nina has been in Midland about fifteen years. For seven of those, she taught photography at Trinity School, where she designed their initial program. She would tell her students, “a homemade cake is better than a microwave cake,” the inference being that they must learn photography from scratch, using 35mm, rolling their own film, using only black and white, and developing their own film in the dark room — in other words learn from scratch. Mirror on Midland Studio tour at Barbara Noll's home and studio. What a wonderful experience. 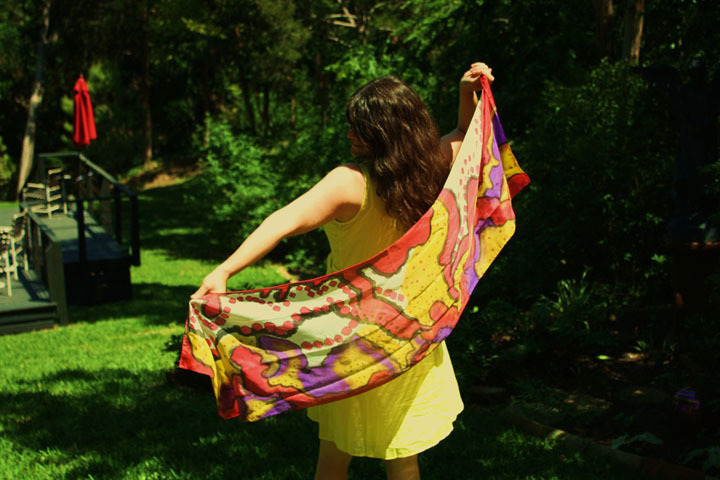 I spent the day talking to art patrons and discussing my watercolor paintings and my latests passion .... "Wearable Art", hand painted silk scarves. 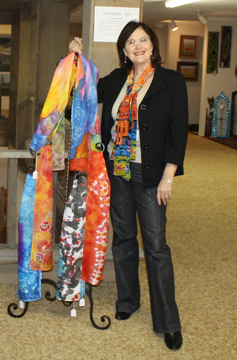 Many people took home wearable art for themselves or as Christmas gifts. I am still working on special orders that I took at the Studio Tour. Luckily my father-in-law agreed to make three new silk scarf painting frames over Thanksgiving to assist me with painting the larger scarves. I am still experimenting with the medium but loving that the artwork can be worn. ..... You can see my latests work at ArtiZen Outlet www.artizenoutlet.com. 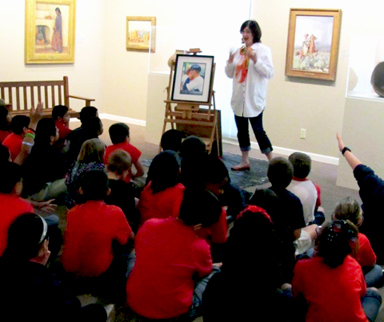 In September the Museum of the Southwest organized a program for all of the 4th grade classes in Midland. I was invited to meet with fourth graders from various schools and tell them a little about what I do as an artist, discuss a few of my paintings, and why I paint. The theme of the talk was to be "What Inspires Art." Well it has been a long time since I have been around 4th graders and what an inspiration they turned out to be!! Most of the children were interested in art and a great number of them were already painting and creating art. I think what amazed me most about this experience was hearing these children talk about art. They discussed the paintings that I brought with me. I asked them questions like, "What is this painting about?" and "What do you think I was trying to say as an artist when I painted this?" Their answers were brilliant! I then asked them why they painted or drew and how it made them feel when they were painting or drawing. The experiences they described where very much the same as mine..... a feeling of being somewhere else, a release, excitement, peace, and sometimes a feeling of somehow being connected with yourself, your inner self. I believe it must be true that art is the common language. If that is true I ask myself why is it not more important in our American culture? Something to think about. To Print or Not to Print .... this is the question.